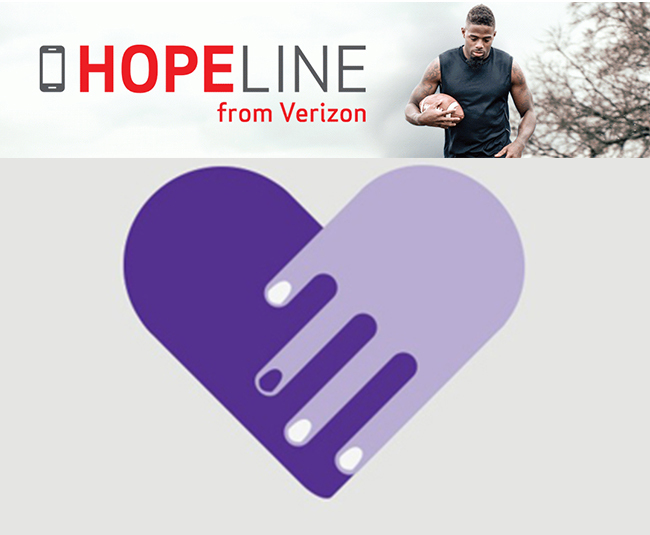 with Verizon Wireless and HopeLine. 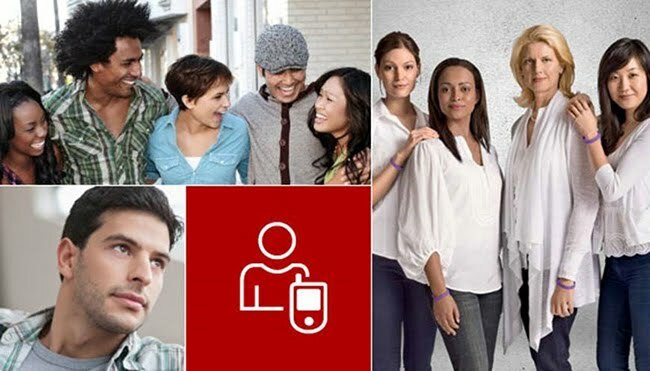 support staff so they can rebuild their lives. support for domestic violence awareness and prevention. service with your wireless provider. 2. 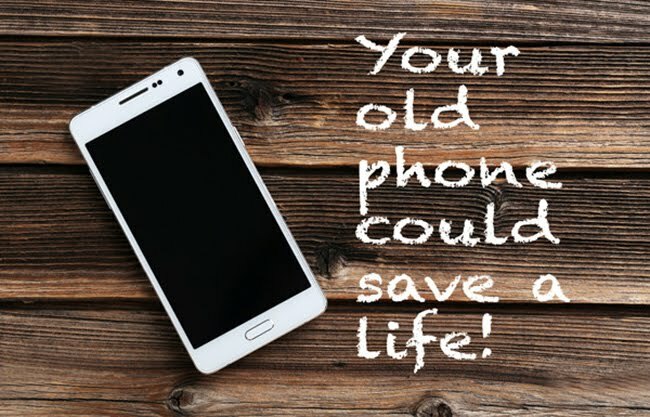 Remove any storage cards and SIM cards from the phone. 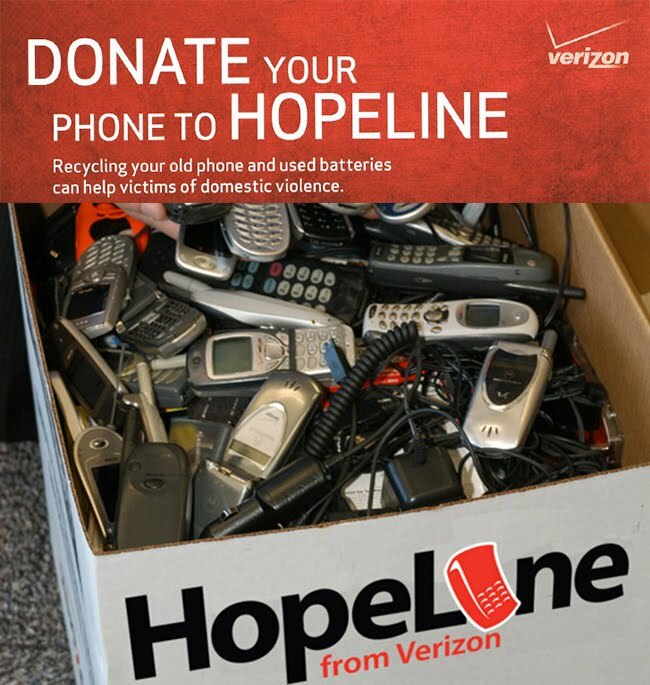 We thoroughly refurbish donated phones. charger and any accessories you wish to donate in a plastic bag. phone and accessories in a HopeLine bin. pre-paid mailing label and just drop in the mail. 1. Select the dates and location for your drive. Be sure to plan for the length of your collection when you do so. 2. 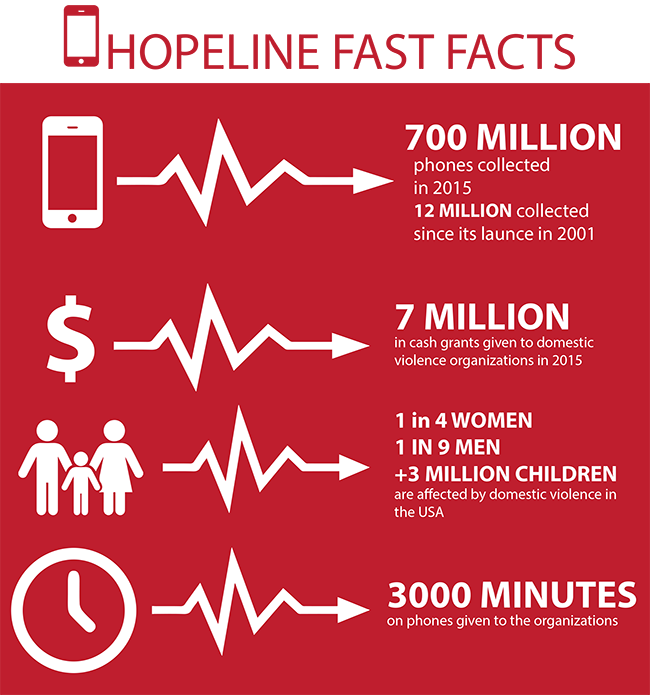 Get free HopeLine materials to promote and host your drive. Mail your request with the dates you've planned and we'll send you the materials. 3. Place the collection boxes in visible but secure locations. Move collections to a storage area as needed. and ship your phones using the label provided. If you have any more questions?